On the 25th of April each year on Anzac Day, all of Australia honours and remembers our men and women who served and lost their lives in military and peacekeeping service. If you’re joining a Dawn Service, why not pack some Anzac biscuits to share at the gunfire breakfast or picnic afterwards. Or just make them to enjoy at home! 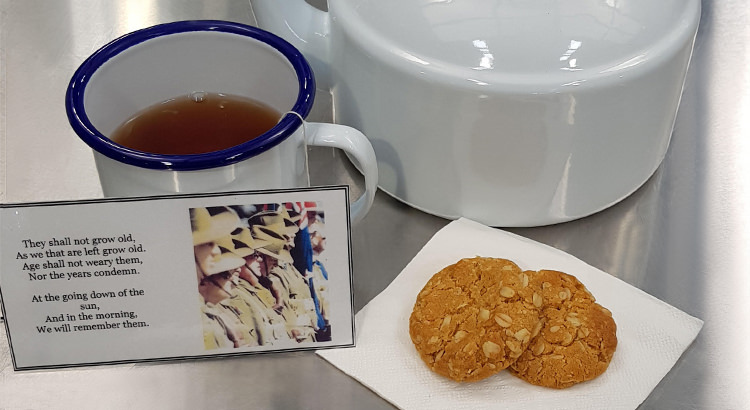 This particular Anzac biscuits recipe came from one of our team members at Kitchen Warehouse North Lakes where they are serving these delicious biscuits today to commemorate Anzac Day. Carly from Kitchen Warehouse North Lakes making Anzac biscuits. Combine oats, flour, sugar, and coconut in a mixing bowl. Add the butter and golden syrup to a saucepan and stir over gentle heat until melted. Mix the bi-carb soda with the boiling water then add this to the butter mixture. Stir the mixture into the dry ingredients. Roll a tablespoon of mixture into a ball. Line your baking tray with a silicone baking mat or parchment paper. Place each ball on the tray, leaving enough space between balls to allow room for spreading. Cook in a slow oven for 20 minutes or until golden brown. Loosen while warm then transfer to cool on a cooling rack. Sef is a writer, mum, and Kitchen Warehouse's content manager. She loves storytelling and cooking, which makes this blog the perfect playground. This recipe doesn’t add the butter in the ingredients – how much do I need? Hi Frances, should be 125g. So sorry about that! There is no mention of the butter quantity in the ingredients. Sorry about that, Sue! Have added 125g butter. Step 3 of the instructions says to add the butter, however, butter is not in the list of ingredients . Can you please advise how much butter to use. Hi John, have just amended it to include 125g butter. Sorry about that! Think you forgot to put Butter in the ingredients list, lol! Had to go back to my old faithful recipe. Thanks for amending! Will try it out! So sorry about that, Dianne! 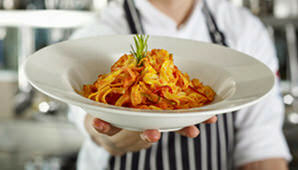 Amended the recipe and hope you can give it a try next time! Delicious recipe, this will now be my go-to for Anzacs. Thank you!! So happy you loved it, Dianne! Thank you! Just to let you know that you have missed out the quantity of butter in your list of ingredients – it should be 125g of butter. You are right Kath! Thank you! There is no butter in the ingredient list yet it says to melt the butter and golden syrup..
Hi Janet, it should be 125g butter. Sorry about that! We are very sorry, butter was inadvertently omitted! It’s 125g butter. Thank you and hope you enjoy the recipe!